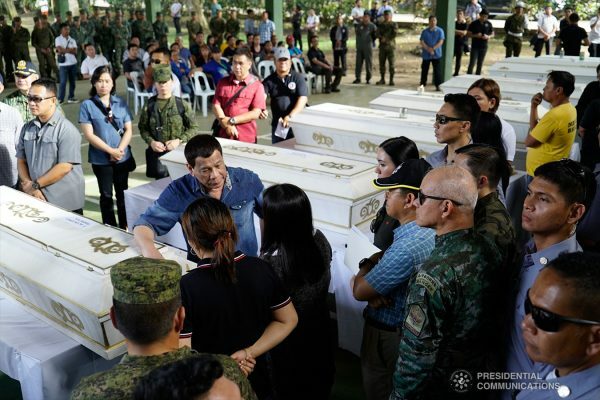 President Rodrigo Duterte offers his condolences to the families of the victims who died during the twin bombings at the Cathedral of Our Lady of Mount Carmel in Jolo, Sulu as he visited Camp Teodulfo Bautista in Jolo on January 28, 2019. 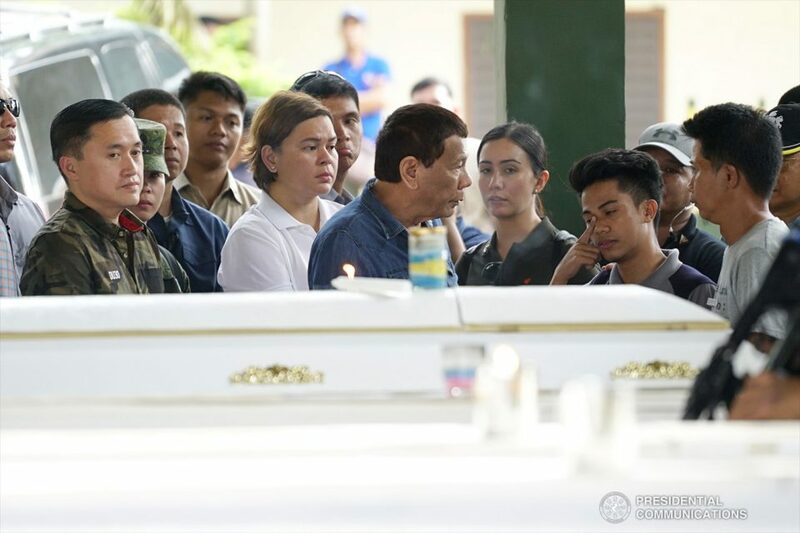 (Eagle News) — President Rodrigo Duterte offered his condolences to the families of the victims who died during the twin bombings at the Catholic Church’s Cathedral of Mount Carmel in Jolo, Sulu as he visited Camp Teodulfo Bautista in Jolo on Monday, January 28, 2019. 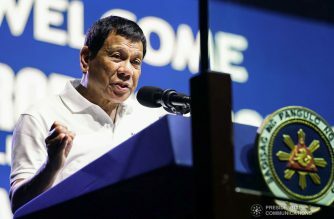 Other officials who were with him were Defense Secretary Delfin Lorenzana, Former Special Assistant to the President Christopher Lawrence “Bong” Go, Davao City Mayor Sara Duterte-Carpio, Interior and Local Government Secretary Eduardo Año, and National Security Adviser Hermogenes Esperon Jr. 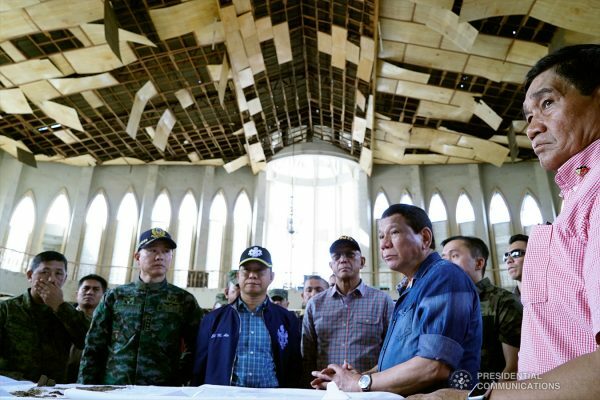 The President also inspected the cathedral which was the site of the blast. 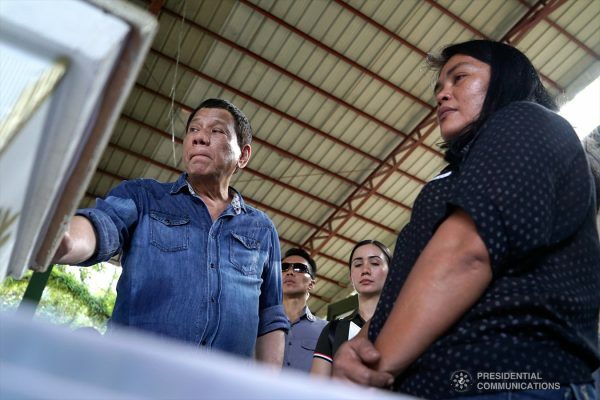 In the photos, the President’s anger is evident at what happened as he inspected the blast site. 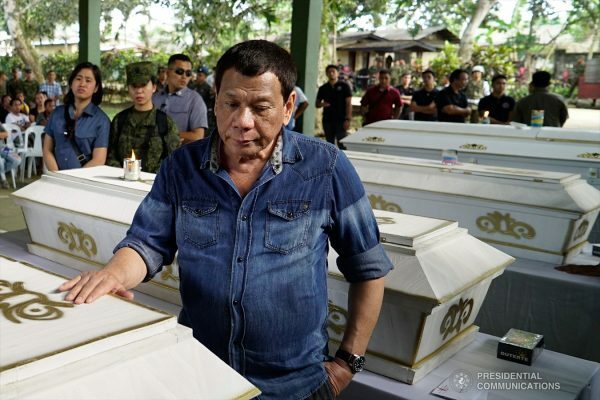 At least 22 people have already died, after two of the wounded succumbed to their injuries, according to Interior Secretary Año. 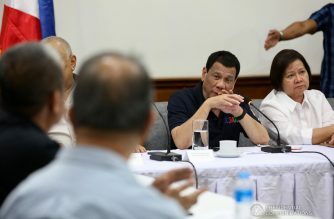 The President has ordered the military and the police to stage an all-out war against all terrorism groups after the deadly Jolo blasts on the Cathedral. 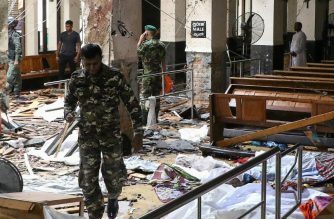 The twin bombings were done at the middle of a Catholic mass.